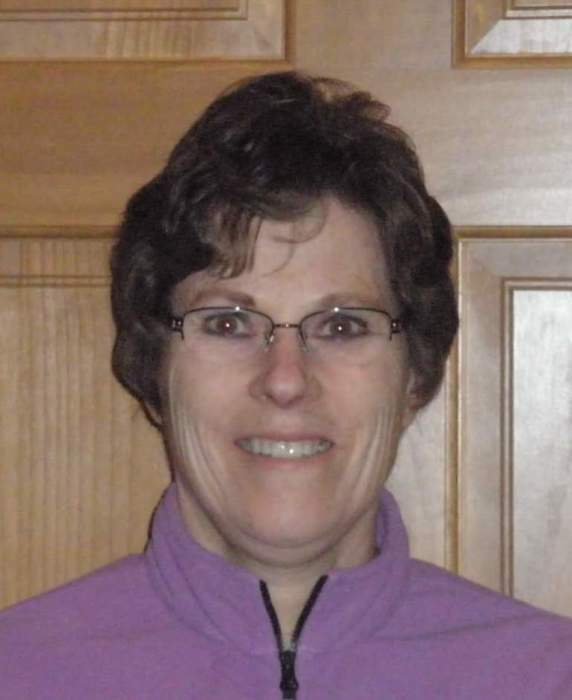 Jeanne A. Gjerald, age 61, of Little Chute, passed away unexpectedly at her home on Monday, April 9, 2018. She was born on July 25, 1956, daughter of the late Eugene and Elizabeth (Baumann) Weyers. On December 17, 1988, Jeanne married Paul Gjerald, and together they have celebrated over 29 years of marriage. They were sweethearts and enjoyed watching movies with each other, while eating a big bowl of popcorn. Jeanne was also an avid reader and tremendously enjoyed children. She ran her own daycare called Jeanne’s Little Ones. Babies and children could make Jeanne smile more than anything. She most recently was employed by Transport Refrigeration. Jeanne is survived by her loving husband, Paul Gjerald; siblings: Lee (Lois) Weyers, Ken (Susan) Weyers, Gary (Debbie) Weyers and Lori (John) Hein; mother-in-law, Betty Gjerald; brothers and sisters-in-law: Deanna Gjerald, Kay (Joe) Boelter, Alan Gjerald and Jane (Terry) Wyngaard; numerous nieces, nephews, great nieces and nephews, other family members and friends. Jeanne was preceded in death by her parents, Eugene and Elizabeth; two infant brothers; father-in-law, Cliff Gjerald and sister-in-law, Ellen Gjerald. Funeral services will be held at 11:00 a.m. on Friday, April 13, 2018, at Christ the King Lutheran Church, 601 S. Washington Street, Combined Locks, with Pastor Nate Gauerke officiating. Visitation will be at the church on Friday from 9:00 a.m. until the time of the service. Entombment will be at Highland Memorial Park. In lieu of flowers, a memorial is being established in Jeanne’s name. For online condolences, please visit www.verkuilenfh.com.